We all are quite familiar with voting machines, even we have covered few other electronic voting machine projects previously here and here using RFID and AVR microcontroller. 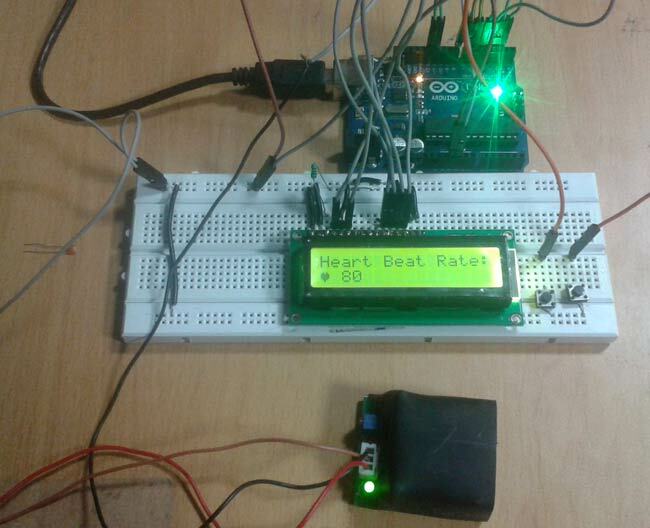 In this project, we have used the arduino controller to create an electronic voting machine. In this project we have used four push buttons for four different candidates. We can increase the number of candidate but for better understanding we have limited it to four. When any voter press any of four button then respecting voting value will increment by one each time. After whole voting we will press result button to see the results. 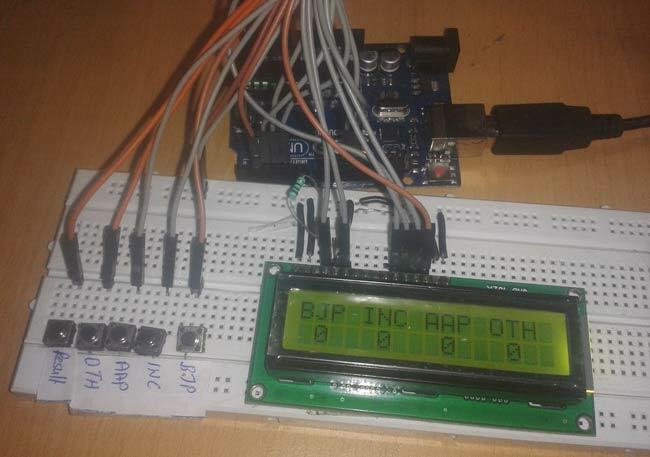 As the “result” button is pressed, arduino calculates the total votes of each candidate and show it on LCD display. Circuit of this project is quite easy which contains Arduino, push buttons and LCD. Arduino controls the complete processes like reading button, incrementing vote value, generating result and sending vote and result to LCD. Here we have added five buttons in which first button is for BJP, second for INC, third is for AAP, forth is for OTH means others and last button is used for calculating or displaying results. The five push buttons are directly connected with pin 15-19(A1-A5) of Arduino with respect to ground. A 16×2 LCD is connected with arduino in 4-bit mode. Control pin RS, RW and En are directly connected to arduino pin 12, GND and 11. And data pin D4-D7 is connected to pins 5, 4, 3 and 2 of arduino.